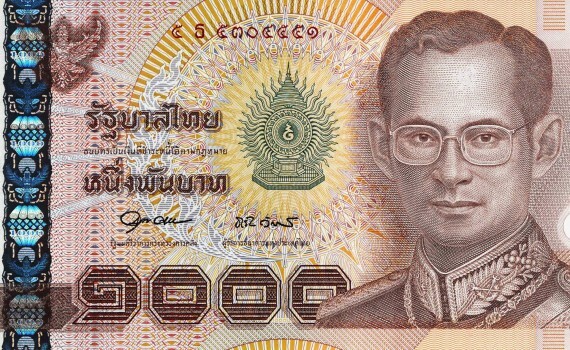 The political and military tribulations that have shaken Thailand in the last couple of years have also taken their toll on the country’s currency, with the Thai Baht losing ground versus most major currencies on the market like the pound sterling, the US dollar or the Euro. While this means reduced purchasing power for local investors, foreign investors are faced with an immense opportunity as Thai properties sell for approximately 20 percent less since the fall of the local currency, according to local economists and real estate agents. This means that from the modern penthouses of Bangkok to the breathtaking villas in Koh Samui, Thai property and real estate is as attractive for investors as it’s ever been. While the Baht might not shows signs of improving any time soon, particularly with the recent political crisis that is affecting the country, the window of opportunity for foreign investors is not going to last forever. Local property developers are starting to be much better informed about the increased purchasing power of foreign investors and are raising their prices. The realignment of the market will make new and modern properties basically not affordable for the average Thai family while foreign investments will slowly decrease. Nowhere is this truer than in the beautiful island of Koh Samui where property developers are reporting a record number of closed sales for foreign investors. The most attractive real estate on the island is still on the North East coast with condominiums as well as luxurious villas selling far better than in any other location in Koh Samui. Laem, Bophut and Chaweng are some the areas where demand is highest, particularly for mid-range properties. The most desirable properties for foreign investors seem to be those that yield a double digit rent and have a good growth potential. The potential for renting vacation villas on the island is huge, and while Thailand and particularly Koh Samui are well-known vacation destination, there is still room for growth in the tourism sector as soon as political stability is achieved. Economists said that further construction growth is expected in Koh Samui as all the properties that are currently on the market are quickly being purchased by foreign capital. Increased media interest in the region has also increased its potential among both local and foreign investors making Koh Samui one of the current engines for growth in a country where political instability seems to be the norm of late. The recent tumultuous political situation in Thailand that culminated with a military intervention has laid waste to an otherwise growing real estate and property market and nowhere is it more visible than in the country’s main development areas, Bangkok and Koh Samui. According to market analysts the property market in the Thailand’s capital city as well as the rest of the country has dropped, with the take-up of condominiums averaging at only 40 percent in the first quarter of 2014. The disappointing result has continued to affect the mood of potential buyers in the second quarter of the year with take-up dropping again. The entire economy of the country is suffering as a whole due to plummeting consumer spending. 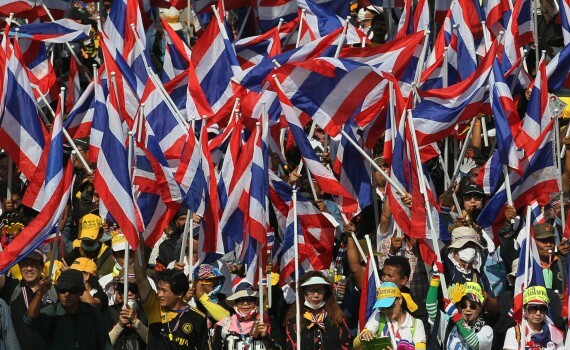 The intervention of the military through roadblocks and curfews as well as the recent string of protests have directly impacted Thai nationals who are more cautious about when and where they spend their money. While there is no problem with liquidity yet, buyers are postponing their real-estate purchases for a time when a clear direction to the current political crisis is reached. Real estate developers have tried to react to the drop in demand by postponing the launch of new projects until calm and a new government is established. An increase in marketing activities as well as more advantageous offers is also a direction developers will take to try to regain the trust of potential buyers. The fluctuating market is a golden opportunity for foreign investors as most of their finances are not affected by the crisis and can now secure deals at discount prices. The bank system of Thailand has also increased security measures being more cautious about the mortgage loans they release until the country regains its stability. In fact a total of 25 to 30 percent of applicants for mortgage loans were turned down a move that may force developers to cut costs yet again. The only segment of the market that has yet to be affected is oddly the luxury real estate sector, with most projects selling up to or over 90 percent of their completed properties. Analysts say that this is an exception, one that can soon be affected as well. They also specified that while the political and military crisis is the main reason behind the drop in the market, other factors that stump growth have been growing for a long time like accumulated debt, reduced cash flow or increased spending caution.